With all of the incredible advances in energy efficiency to hit the market in recent years, it would be a shame to invest in, and install, the most high end energy efficient products to learn that the building is still inefficient. Unbeknownst to many contractors and building owners, the solar heat gain coefficient, a seldom considered issue, is to blame for the energy inefficiencies of many buildings and may even contribute to overall cost of climate control. The solar heat gain coefficient, or SHGC, is the amount of solar radiation transmitted through a window and released into a building or home, expressed in decimals. To put it simply, the SHGC is the amount of solar radiation (light and heat) that passes through a window or glass assembly. Windows with a lower solar heat gain coefficient are more efficient at reflecting heat and transmit less heat into the building. Less energy efficient windows directly transmit solar radiation through the glazing (the center of the glass) to the interior of the building, while only some solar radiation is absorbed by the glass. The heat that has been absorbed by the glass is then indirectly admitted into the building. The transmission of solar radiation into a building should be a significant factor when considering the cooling and heating requirements. So Why is the Solar Heat Gain Coefficient Important? Determining the optimal balance between heat retention in the winter, and heat admittance and retention in the summer is essential to a properly climate-controlled building. Determining the proper ratio between the two is where the solar heat gain coefficient becomes important. Solar radiation can serve as a free source of heat in the winter, with the the optimal amount of heat transmitted through the window or glass assembly to be retained in the building. However, if the glass allows too much heat to be transmitted, the building can easily overheat in the summer. Solar heat gain coefficient is also important to consider when buying glass for buildings in differing climate environments. Glass assemblies manufactured for homes in a northern climate will be more efficient at retaining heat. However, using that glass assembly in a southern climate, where excessive heat can be an issue, would be ill advised. 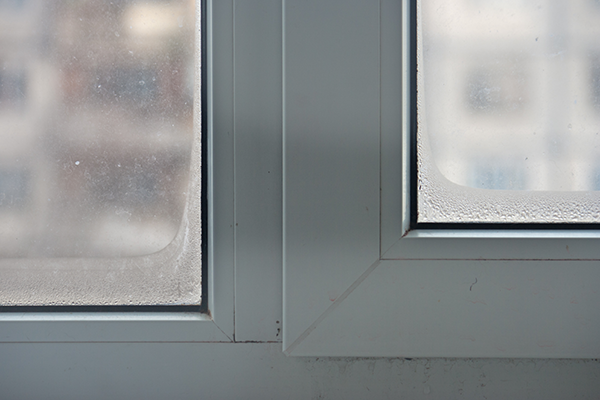 Inversely, windows manufactured for a southern climate would be inefficient at retaining heat in a winter environment. In either case, the solar heat gain coefficient is used to determine the difference between the glass and its effectiveness at either admitting or retaining heat. There are a number of factors that can effect the solar heat gain coefficient of a window such as the thickness of the glass, coatings applied to the glass, how many panes are in the glass assembly and even the ratio of glass to the size of the window frame. All of which can effect how much solar radiation is transmitted through the glass and the overall SHGC rating for the window. 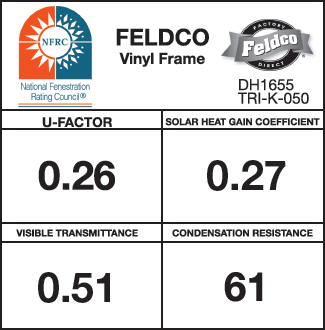 These variables are rated and measured by the the National Fenestration Rating Council (NFRC) on a scale from 0 to 1. For example, a low coefficient of 0.32 represents a low heat gain and a high coefficient of 0.73 represents a high heat gain. Shading can greatly effect the amount of solar radiation transmitted through a window. Prior to the implementation of the solar heat gain coefficient, the shading coefficient was used to determine the ratio of radiant heat gain through a specific type of glass. The shading coefficient is based only on the glass of the window and should be considered when determining which type of glass to use in the overall assembly. 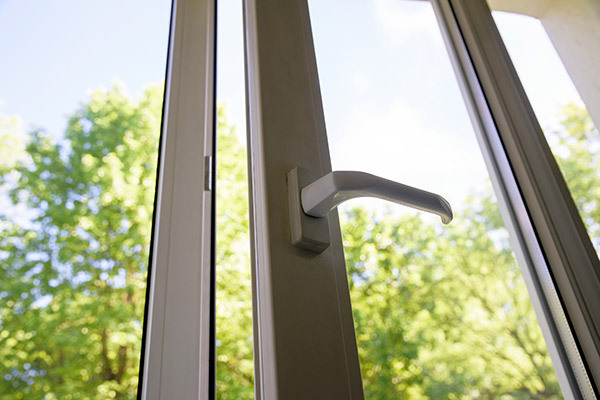 Along with the shading coefficient, the type of coating applied to the glass can make a window more or less efficient at transmitting heat gain. Single pane windows are the least energy efficient windows simply because they allow more radiation for the sun to pass through them into the building. When installed, double pane glass serves as a barrier by capturing the heat in the space between the panes. Coatings that reflect the heat from solar radiation while admitting the visible light are referred to as low emissivity, or low-e.
Energy Star is a U.S. Environmental Protection Agency voluntary program which makes it easy for buyers and contractors to determine the energy efficiency of a product. 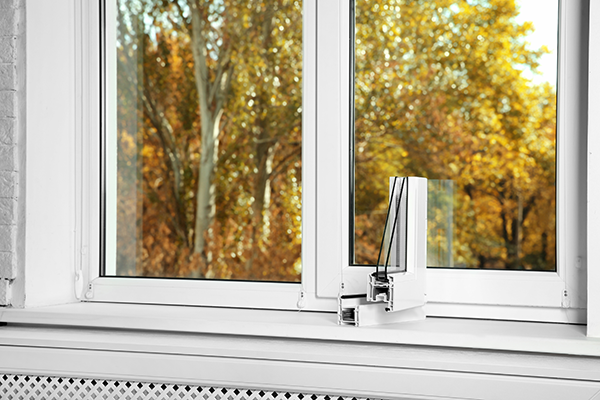 Windows that have been certified by the EPA will display an Energy Star sticker showing the solar heat gain coefficient. This is done to enable a side by side comparison of glass assemblies. The sticker will also show the u-factor (rate of heat flow), r-value (resistance to heat flow) and visible transmittance (the amount of light transmitted). Purchasing and installing the right glass ensures not only the temperature of the building, but also the longevity of the furniture inside. 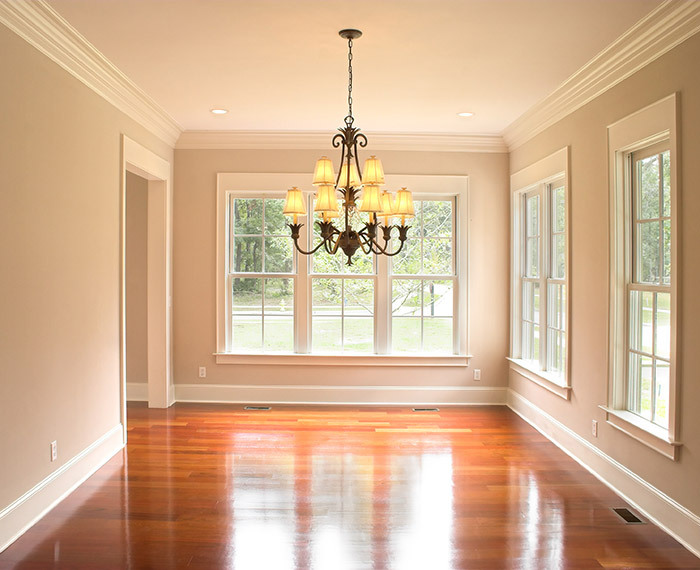 Transmission of u-v rays through glass can allow their harmful radiation to deteriorate and fade furniture within the vicinity of the window, leading to costly replacements. 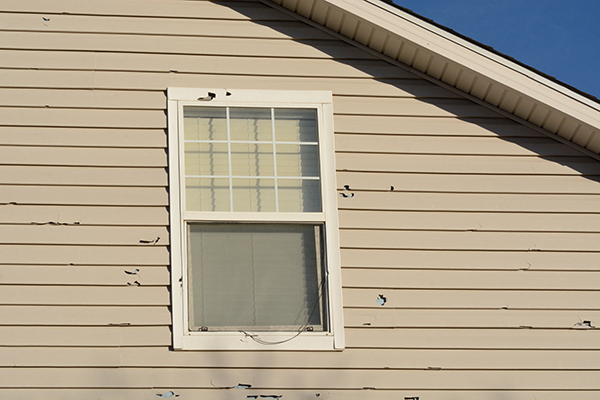 The solar heat gain coefficient of a window can also determine the overall costs to climate control a building. Glass assemblies with a correct solar heat gain coefficient for the location of the building are more efficient at heating and cooling. Therefore, it takes less energy and power to run air conditioners and heaters, and less money to operate the building. At the end of the day, the solar heat gain coefficient is there to ensure buyers and contractors can purchase the perfect glass for their building. The cost of energy is higher today than ever before. Building owners and contractors who consider the solar heat gain factor when choosing glass for their building will not only contribute to a green and energy efficient world, but will save money in the process. If you’re unsure about what solar heat gain coefficient is right for your home in Green Bay, we have you covered. Our windows are made to withstand the harsh weather of Green Bay and have the proper SHGC to be labeled Energy Star Certified for your home. 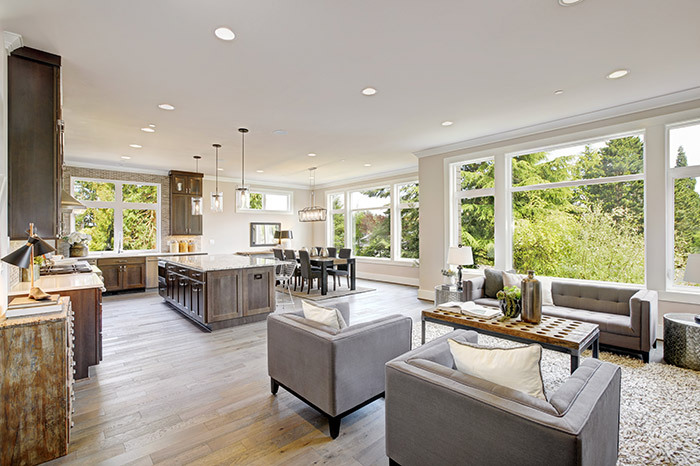 We’ve served over 350,000 homeowners with their home improvement projects and would love to help you with yours – get a free quote now and see why so many homeowners trust us.